“They were hard working and helped each other … they built a community around the church,” stated Frank Podleiszek in a 2007 interview about the history of St. John’s Church. With little options for work in their native Slovenia, many people immigrated to Bethlehem at the turn of the twentieth century, in search of work. Once families established themselves, they sponsored other families to immigrate to Bethlehem, and housed them until they could afford a home of their own. While many of the new immigrants were Roman Catholic, and formed St. Joseph’s Windish Roman Catholic Church, the Protestant Slovenians needed their own church. St. John’s Windish Evangelical Lutheran Church formed in 1910, meeting at St. Peter’s (German) Lutheran Church until 1911, when their church building was completed. St. John’s prides itself on the fact that it is the only Windish Evangelical Lutheran Church in the United States. Many original members of St. John’s referred to themselves as “Windish,” a distinct dialectic group from the Prekmurje region of Eastern Slovenia. Although the term “Windish” has negative connotations for some Slovenians, members of St. John’s use it as a source of pride, with one congregant remarking, “in Bethlehem we’ve established ourselves as Windish for 100 years.” Confirmation classes were taught in the Windish dialect until the mid-twentieth century, and even today the congregation sings hymns and Christmas songs such as “Silent Night” in Windish. The Advent Season at St. John’s is filled with Windish traditions. Congregants celebrate St. Nicholas Day on December 6th, where children receive presents in their shoes from St. Nicholas. The Christmas Eve church service includes children performing a nativity play. Many Slovenians fast on Christmas Eve, as a tradition, and decorate their Christmas trees with fruit, nuts, and candies. Congregants of St. John’s also maintain ties to their Windish and Slovenian roots through food. “A lot of the foods the Windish are known for are the same the Hungarians are known for, since it was a part of Hungary,” noted Frank Podleiszek. Strudel, nut rolls, goulash, “Windish pizza,” which is grated turnips and spices baked inside a flat dough served with sour cream, “pigs in a blanket,” or ground pork rolled in either intestines or cabbage, and kiffles, baked dough filled with walnut or fruit paste, are all staples at the church’s ethnic dinners and events. St. John’s Windish Episcopal Lutheran Church is located at 617 East Fourth Street, Bethlehem, where the congregation holds weekly Sunday morning worship services. A mission church, The Iglesia Esperanza for Bethlehem, also meets at St. John’s, on Sunday afternoon. The primarily Spanish-speaking congregation, led by Moravian Nicaraguan ministers, was created through an ecumenical partnership that includes a number of Moravian congregants and Bethlehem’s First Presbyterian Church. Many congregants of St. John's celebrate the Advent season with uniquely "Windish" traditions. 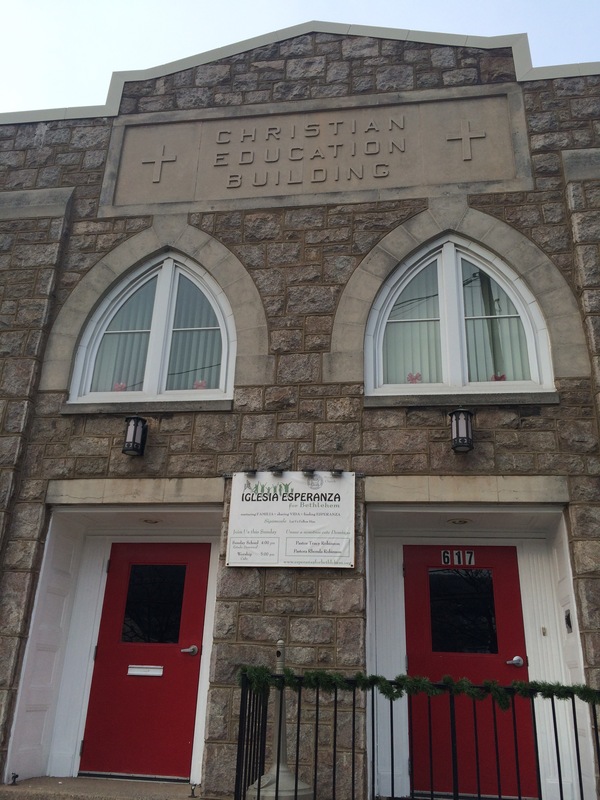 The Iglesia Esperanza for Bethlehem, a mission church, meets at St.